Professional sports and the world of modelling both represent dreams worlds for us mere mortals. We see them on billboards. We aspire to be like them for one reason or another. We tend to think, “that seems like a nice life”. And for the most part I think it is. However, as gargantuan aspects of our social, cultural, and economic worlds they are also far from perfect. At first glance, it may seem like modelling and professional have sports have little in common. For both groups their bodies are their meal tickets but how they treat them is completely opposite. While athletes get bigger and bigger every year, models get smaller with each season. Sport is a male dominated arena whereas modelling is one of the few domains where women can consistently out earn the men. Athletes compete and models stand. Sometimes they walk. Yes, on the surface they are different but if we compare the two industries and institutions as labour structures there are more similarities than dissimilarities. I am far from a fashion guru but last year I read the book Pricing Beauty: The making of a fashion model by Ashley Mears, which presents an insider’s look at the modelling industry. As someone who knew (and still knows) very little about the modelling industry I was shocked by some of the things I learned. First, models pay for everything! Their agencies pay for nothing. When you watch America’s Next Top Model and the contestants scratch each other’s eyes out for that big contract at the end I think many of us assume that signing with an agency means you have someone to take care of your business interests. Wrong! An agency charges all of the model’s costs back to the model including things such as flights, head shots, and rent. So before any model has booked a job they usually start in the red (many leave their agency in the red as well). #glamorous right? Given that most of my competitive background is in tennis I saw immediate parallels. Tennis players, as with most athletes in individual sports, are basically self-employed. They pay for their equipment, training, coaching, and travel etc. If they are lucky enough to get a sponsorship deal then maybe they don’t have to pay for their equipment and apparel but do not be fooled by Maria Sharapova’s eight figure Nike contract because outside of the top 50-75 players very few are making money from sponsorships. They might get some free equipment (which is certainly welcome) but just because they are professional athletes doesn’t mean that they can dive into their money piles. This doesn’t apply so much to the more lucrative (men’s) team sports but I have written about how the women who compete in the Women’s Canadian Hockey League (the same women who bring home Olympic gold medal after Olympic gold medal) are forced to pay out of pocket for their own sticks and skates while also working a ‘real’ job. But here is where many models have it worse – sometimes they don’t get paid. Often when models work for editorial shoots (the creme de la creme in fashion) they get paid in clothes. Conversely, it’s the more commercial shoots that pay the big bucks but lack the prestige. Sure, clothes are nice, but they don’t pay the rent or put food on the table. Either way, it is not unusual for both models and athletes to be in debt chasing their dream. Second, Mears points out that modelling is a winner-take-all market. In other words, we see Gisele Bundchen, Adriana Lima, Candice Swanepoel, and Kate Upton and think that all models must have it just as great. Similarly, we see Kobe Bryant, Sidney Crosby, and Roger Federer and think that professional sport looks pretty swell. The problem is that winner-take-all markets are bad at sharing the wealth (as the phrase would imply). All of the money goes to Gisele and Roger, which means that there is very little left for those at the bottom. Its kind of like playing musical chairs with 500 people and only 10 chairs. Here’s a food example of a winner-take-all market. In Sean Pronger’s hilariously honest hockey book, Journeyman, he details how he would often get to the lunch table when there was no food left because all of the higher paid players were fed first. Playing for a National Hockey League team he would be left with a few grapes and some wilted lettuce. So much for a team effort. Third, models work as independent contractors. This means that they have no recourse against their employers for sexual harassment, worker’s compensation, pensions, and incur much (if not all) of the risk themselves. In the same vein, professional tennis players are considered independent contractors of their respective tours. They are unable to unionize like players in professional team sports such as hockey or basketball and therefore must deal with the governing bodies as individuals. I think the current lawsuit that the Northwestern football players have brought against the NCAA is a great example of why collective representation is an important issue and extremely necessary in monopolistic industries such as fashion and sport. Yes, some collective bargaining agreements include the provision of pensions but in a winner-take-all market those who need the pensions the most may not qualify for them. For example, in the NHL’s CBA players must play in a minimum of 400 games in order to qualify for $8000 in annual pension. That’s a lot of games for not a lot of money. Additionally, for those fringe players who have sacrificed an education and their body for the team they may be forced out of the game by injury with no monetary compensation at all. Just as NCAA athletes are exploited by an industry that benefits from the disposability of their athletes and their desire for success, so too does the fashion industry feed off of young hopefuls. These are multi-billion industries built on the backs of those who do not make it, rather than those who do. Lastly, the issue of child labour resonates for both modelling and sports. Both industries privilege youth (Serena Williams and Roger Federer might as well be referred to as grandma and grandpa). It is not uncommon for models to start working at the age of twelve. TWELVE! If you watch Sara Ziff’s documentary, Picture Me (available on NetFlix Canada), the models talk about how they saw a young girl backstage at a fashion show colouring. It is an adorably horrifying anecdote. Perhaps, the more troubling issue is that twelve-year-old girls are modelling clothing for adult women. These young girls are submerged in an adult world often without parental guidance. Athletes such as Martina Hingis, Jennifer Capriati, and Nadia Comaneci can relate all too well. Both Hingis and Capriati turned pro at the age of 14. Comaneci won three Olympic gold medals at the age of 15. 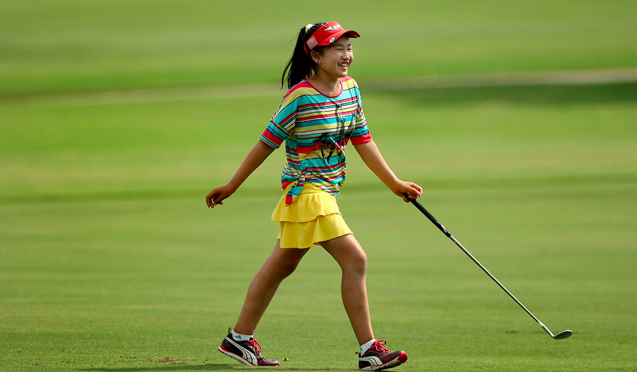 Most recently, we have Lucy Li an 11-year-old who just qualified for the women’s US Open in golf. We allow it because they are successful at that age. We allow it because we are taught that youth is fleeting and that success is finite. But we also seem to forget that you never get those years back. Moreover, child exploitation is not just for young girls. In sports such as soccer young men are often exploited and trafficked by major European clubs. It is a reality that FIFA likes to pretend doesn’t exist (like so many other FIFA related social ills). Young boys are also exploited in the Middle East for the dangerous sport of camel racing, but that simply takes place too far away from our dinner tables for us to care about. 11-year-old Lucy Li. Photo from The Big Lead. I think it is apparent that both industries treat their “employees” as disposable commodities. The competitive nature of these industries is what makes this exploitation possible because employers know that there is always someone waiting in the wings who is willing to do what you are unwilling to do, or someone who will work for less. It is important for us as consumers of fashion and sport to remember that these are not commodities – they are human beings. Even though fashion and sport may seem trivial a lot of the time they also add value to our lives. They have become big businesses because we want what they are selling, but it is right for people to sign away their rights for the chance at making it big? Is that a fair trade? Some may answer, yes. I disagree. Just as I disagree that celebrities should lose the right to privacy because they have chosen a career in the spotlight. Everyone has the right to privacy (Article 12 of the Declaration of Human Rights) and everyone has the right just work conditions (Article 23). Modelling is truly the most ludicrous industry that I have ever heard of. To learn more you should check out this HuffPostLive chat with, the founder of The Model Alliance, Sara Ziff and two other models as they discuss their fight for safer and more equitable working conditions. And, even though men’s professional team sports are better situated than many models keep in mind that when teams draft players they are essentially buying young men. In what other form of employment do you not get a say in who you work for or where you work? I will leave you with a story from Sean Pronger’s book to highlight the nefariousness of professional sport as a labour system. 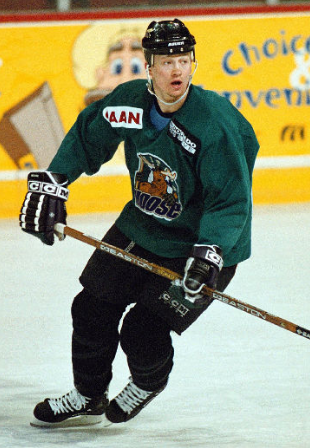 At one point during Pronger’s career he was traded from the Boston Bruins to the New York Islanders and no one told him. He only found out when he opened his pay cheque and the team logo had changed. He phoned his agent to find out what was going on and even his agent was unaware of the trade. He had been traded without so much as a phone call. That is when you know that you are truly insignificant. To re-apply a metaphor from David Harvey, supermodels and superstar athletes are the glitter used to hide the rotten infrastructure behind them.